Doctors on Liens and Dr. Reza Shakeri, DC and his team of specialists at Chiropractic Health Center have partnered to bring much needed care to personal injury victims in the Fresno area. Dr. Shakeri practices a multi-disciplinary approach to treatment. He commonly involves additional doctors in his treatment plans including referrals to neurosurgeons, orthopedic surgeons, pain management doctors and radiologists. 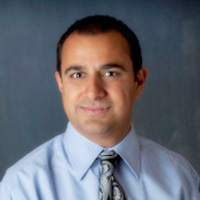 After years of requests for more doctors in the Fresno and Central Valley area, Doctors on Liens is thrilled to announce the addition of Dr. Reza Shakeri, DC and his multispecialty medical team at Chiropractic Health Center in Fresno to their list of qualified medical professionals providing treatments for personal injury and workers’ compensation cases on a lien basis. Chiropractic Health Center is conveniently located to serve personal injury patients in the surrounding communities of Clovis, Selma, Madera, and Sanger. Doctors on Liens lists medical professionals who offer medical services on a lien basis throughout California and Nevada.